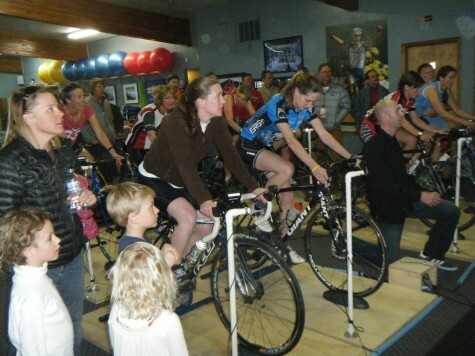 FLC cyclist and Durangoan, Ben Sonntag rode an amazing race in Bend, Oregon last December. Q: How did you find out about Durango and FLC? Q: What is the junior biking scene like in Germany? Do they have any solid junior mountain bike programs? A: Cycling like almost any sports in Germany is organized by clubs. There are a lot of clubs who have there own junior program. Kids get together to train, travel to races….It’s similar to DEVO, which from my understanding is a pretty unique program in the US. Q: When did you start racing mountain bikes and was there any difference in the junior competition between the US and Germany? A: I actually didn’t compete in cycling as a junior, but from what I have seen in skiing, I would say in Germany kids are starting to be serious about training and racing a bit earlier. I would say on a junior level there is more competition in Germany and everything is already pretty professional. In my eyes this has pros and cons. A lot of very successful juniors are quitting early because they are burned out before their real career would start. On the other hand often times in the US juniors have to close a big gap once they move in the elite ranks to be competitive internationally. Q: You are a collegiate champion, what have you won in the college ranks and what else do you wish to accomplish? A: As for collegiate, I’m at the end of my collegiate carrier. I will graduate this spring, can’t wait!!! As my highlights were winning 3 individual titles, cross country in 2007 and short track and cross country in 2008. I also won 3 team titles with FLC, MTB in 2007 and 2008 and Cyclocross in 2009. Those were for sure my highlights. It’s always fun to win a team title. Outside of collegiate racing there is hardly ever the chance to experience such win as a team. 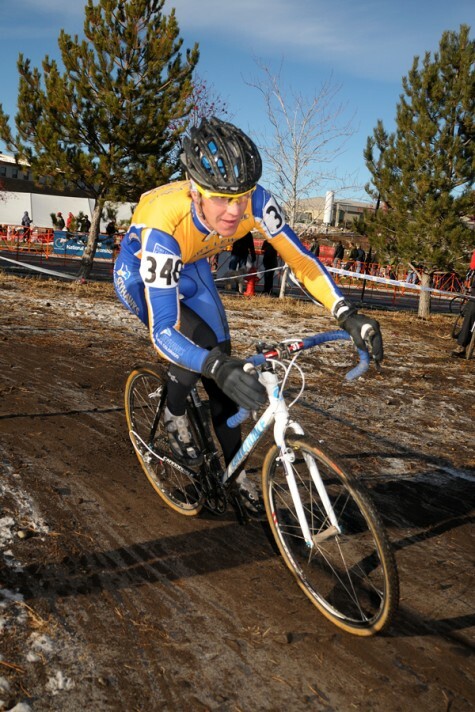 I really wish I could have won the cyclocross individual title in 2009. I was close, but didn’t make it. It was a big goal of mine leading to that event and it took me a while to get over it! In the end it kept me motivated to work hard on myself over the last couple months. Q: Who are your cycling and non cycling heros? A: As I have a different non-cycling background most of my sport heros are cross country skiers. I think Bjoern Daehlie was the one athlete who I remember watching the most and being a real ‘hero’ for me. As for cycling I look up to people who have the consistency to be at the top all season long. As a cross country racer, Julian Absalon of course comes to ones mind. But I’m also looking up to the Swiss, who are so strong as a nation. Q: You race a pretty stacked season in many of the cycling disciplines, how are you spending your time this preseason training? How do you work around the weather? A: It feels for me that the weather has been rough this year for cyclists in Durango. It is hard to do your training in such conditions. I think it is important to still do your specific workouts, if you have to even on the ‘evil’ rollers or trainer. But if that’s the case you have to mix things up with other outdoor activities to not burn out before the real season starts. I’m doing a lot of cross country skiing, some running and trying not to get huge in the gym ;). 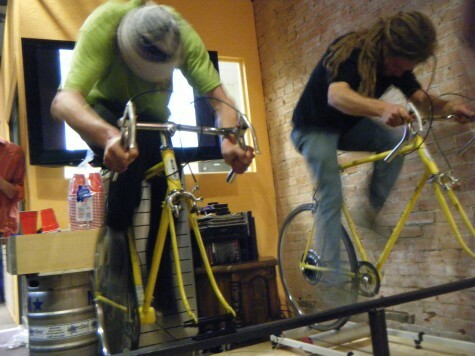 I think especially as a Mtber it is important to be a well rounded athlete. In Mountain biking I think, it’s more than just having the engine and the legs to win! Skills and good core strength are just as important. Q: Do you have any advice for the DEVO juniors? A: I keep this short. They should go out and have fun riding their bikes. If they fall in love with the sport and are ambitious about it than they can start to pursue their goals as a racer. But they have to love it! You can only be successful in racing if you have a passion for what you’re doing! Hello Devo families! It is that time again! We can’t wait to ride with your kids! 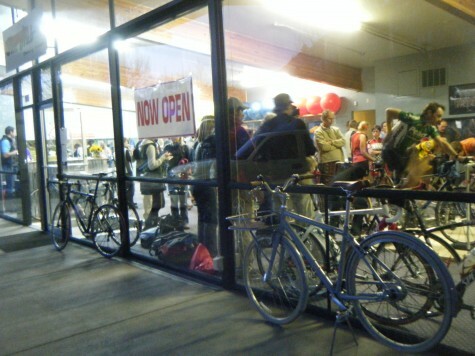 forget that some groups do fill up our sign-up night! 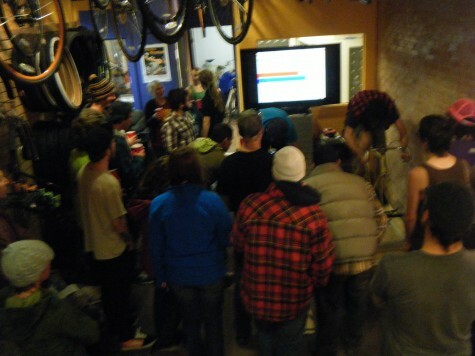 The 2010 mountain bike race season kicks off for team DEVO this April in Fruita. This will be DEVO’s 3rd season attending the Rabbit Valley Rally. Then in May the team heads over Wolf Creek to Nathrop’s Chalk Creek Stampede. This race has gotten plump since its recent inclusion to the 3 part US Cup series, The Triple Crown. 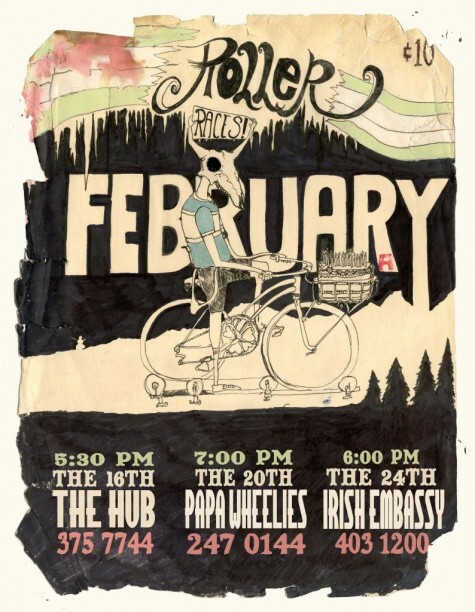 Then in June its up to the classic DEVO team race, the WIldflower Rush. Crested Butte has been a staple in the colorado race scene for 40 years. After all that sweet colorado action, DEVO takes on the nations best at the National Championships at Sol Vista ski area. DEVO has 5 defending national champions looking to have some more fun. And finally the team will take its shortest drive over the hills to Telluride. After a couple years off, the race has been placed back on the schedule and that is a good thing. That is looking like a fun 2010 for DEVO. Racing 4.8 miles at the Hub was Hot, JoeyT took the V.
The Ladies led the way, and it was Martha with the win. 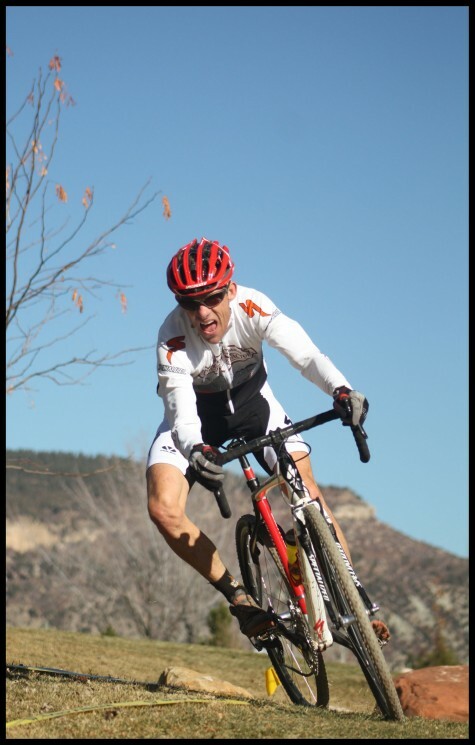 We are supporting an effort to have the Durango Mountain Park renamed as “Overend Mountain Park” in honor of Ned Overend. If you agree, please head to the MBS website below and check it out. It will be a fitting recognition of his world class athletic accomplishments, his key roll in making the park happen, and his leadership in the community. For more information about the renaming of Durango Mountain Park to Overend Mountain Park, please visitwww.mountainbikespecialists.com. The inaugural Chapman Challlenge was a big success. Twelve participants completed the race which included 3 laps up and 3 laps down Chapman Hill under the lights. Light weight randone skis led the race. Mile Venzara and Scott Simmons continuously diced it out at the front. Simmons won with a 3-lap time of 25:16. Venzara came in a close 2nd with a time of 26:33. Biking legend Frank Mapel rounded out the podium with a time of 29:00. Mapel raced on a heavier Alpine Touring set-up. Jen Gersbach, pro-mtn biker, came in 4th overall and 1st female. She passed 4th place male Mark Ianhoe at the downhill finish line. Ianhoe completed the steep, icy course on skate skis! Brett Butterstein, Greg Lewis and Jimmy Nicholson finished 5th, 6th and 7th. Holly Simmons, the only skier on tele-mark skis was the 2nd female finisher. 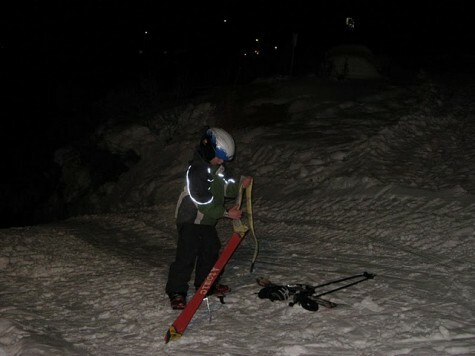 She narrowly beat Sven Brunso, passing him as he lost a ski on the final downhill run. Michael Andres rounded out the men on his first day ever on randone skis. Quinn Simmons, the lone junior racer, won his category. Organizers are hoping for a big turn-out next year! The FLC cycling teams current stronghold over the nations collegiate cycling powerhouses is due to the fact that they have been consistently attracting the fastest young athletes in the land. 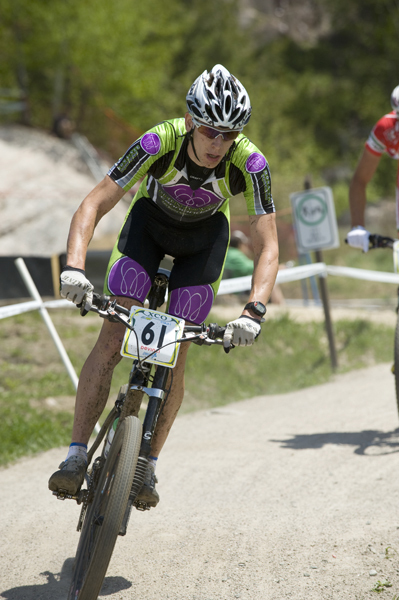 Current collegiate national mountain bike, cyclocross champion, Missy Erickson is featured right here. Check it out. Its an Uphill/Downhill race to be held at Chapman Hill, on Friday Feb 5th at 6:30pm. Registration starts at 5:30pm @ the ice rink that night. All abilities and transportation modes (except snowmobiles 😉 ) are welcome. The race is being put on by Pine Needle Mountaineering. For more info call Scott – 946-6892. Great winter training!! Q: Were you born and raised in Durango? and how did you get into cycling? A: I was born and raised in Durango. After going south to play soccer for four years in college, I returned to Durango in 2005 after a knee injury ended my soccer career. Thinking my life as a elite athlete was over, I enrolled at FLC to finish some pre-requisites for medical school. After my knee injury, my doctors encouraged me to start riding a bike and then Rick Crawford and Dave Hagen encouraged me to race for FLC for fun. That was the spring of 2006, that fall, Colavita/Sutter Home signed me for 2007. Q: What is the coolest thing about racing on the pro women’s circuit? A: All the women I get to race with are in the sport because they absolutely love riding a bike. It is so cool how supportive and respectful of each other everyone is. It seems like everyone takes the time to help make each other better, especially with the younger/newer riders. I do not think I have experienced the same kind of atmosphere in other sports. Q: Where you training when you were struck by the truck? and do you remember what you were thinking immediately after wards? A: I had just left my house on a training ride and was crossing 3rd Avenue when a person driving a truck ran a stop sign and hit me. As I was flying through the air I remember thinking “my leg is bending where it should not be.” As I landed I took stock of the major body parts….head-ok, back-feels ok, collarbones-ok, I wiggled my fingers and toes, which was a huge relief. I knew my leg was broken but everything else seemed to be ok. My little brother happened to be on scene with the ambulance (he works for Durango Fire and Rescue) and I remember asking him in the ambulance if my career was over…he told me that was up to me to decide. Later, when I came out of surgery (where they inserted a titanium rod down the entire length of my femur), my bro had posted signs all over my room with my personal moto for life and racing….I knew I would come back from it then! Q: Injuries can be both positive and negative, can you give any advice on how to stay positive when dealing with a big injury? A: As an athlete, injuries can feel like the end of the world. It is really important to stay positive so the healing process can move as quickly as possible. I was very lucky to be surrounded by an amazing group of people in my family, friends and cycling community who were continually reminding me to keep my head up and battle my injury just like a really long bike race. I have been setting goals for myself throughout the recovery process and doing my best to only focus on what I CAN do and not what I cannot do. The first day after my injury it took me 30 minutes to get out of bed, I was so weak from blood lose and so my goal was to get out of bed and crutch to a line five feet away and then back to bed. It was like a little finish line but it gave me the same sense of accomplishment that completing a hard training session gives. Each day the finish lines takes me a little closer to my final goal of being fully healed and racing again. 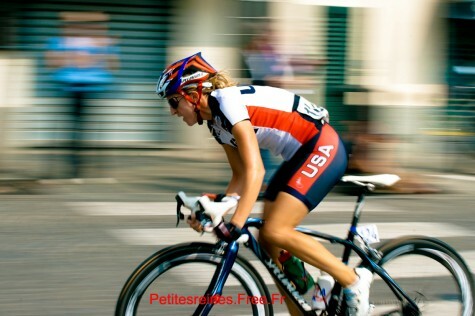 Q: What female athletes do you look up to the most, cycling or any sport? Who is the coolest American road woman? A: Hmmm, thats a tough one, there are so many female athletes whom I look up to……Mia Hamm has always been an athlete I look up to as she has an amazing work ethic and remains so humble about her accomplishments. Kristin Armstrong has that same work ethic and she has this amazing killer instinct that is really cool to see in action. Ina Teutenberg is an all around classy rider who has earned everyone’s respect in the peloton, very cool. But really, I look up to all female athletes who are out there getting it done everyday. From pros, to weekend warriors, 5 year old Devos to 80 year old’s, I get so motivated any time I see another woman out on the road or trails having fun doing what she loves! Q: Do you mountain bike at all? If so what kind of bike are you running? How about road bike, what is it? A:Heck yes! I love mountain biking, although I usually don’t get around to it until my off season; I lack significant skills and don’t want to risk getting injured during the season. I am raging a Gary Fisher Big Sur hard tail which keeps me from getting into too much trouble in the crashing category. On the road, I am stoked to be riding a Fuji SL 1 pimped out with SRAM red and Edge composite wheels and a Fuji D-6 Pro for time trials! Q: What advice do you have for junior cycling women in Durango, we have several young ladies that will be moving on from Devo in the next year or two, what do you see as a path to continue on with their cycling? A: Stick with it! 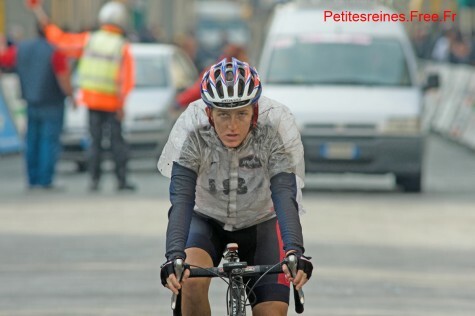 Cycling is a sport of longitivity and perserverance, it rewards those who have put the time in over many years. Set your goals high, then pick away at the stair step goals one at a time! Above all, work hard and make sure you have tons of FUN! As far as life beyond Devo, I would recommend collegiate cycling to all the girls as it is a great stepping stone to help ease the transition from junior racing to racing with the pros. Not only that, collegiate cycling allows you to be a part of an amazing community as you wade through college classes! Peanut Butter & Co. TWENTY12 Team from Jim Fryer/BrakeThrough Media on Vimeo.